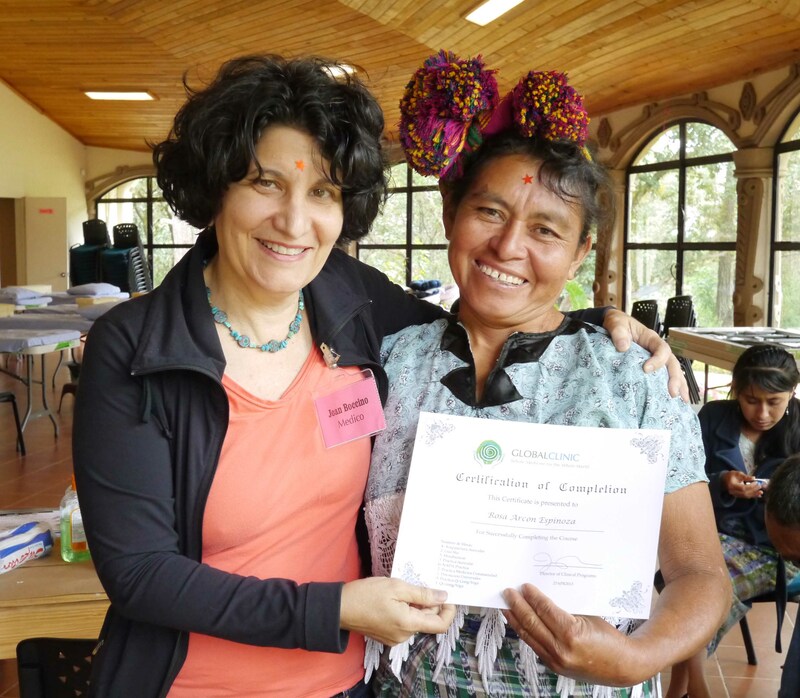 The Integrative Health Project’s Clinical Director, Dr. Joan Boccino, D.A.O.M enrolled a mighty and nimble group of volunteers to treat Quiche speaking Mayans in the highlands of Guatemala. This team came from both coasts and, almost everyone, except the Treasurer, was new. I got to Santa Cruz del Quiche in plenty of time to meet the troops. The chicken bus had flown low, slicing around the curves in well under three hours. I was delighted to meet and have tHe opportunity to introduce Antonio Provencio, Boris Bernadsky, Sidnee Chong, Jill Jancic and Sharon Smith to the Barbara Ford Center for Peace. The compound would be their “homebase” for the next week. The gang of us wandered off and outside the gates to get a view of the Quiche valley and to see the homes of the tenant farmers and, at last, to gaze upon a meadow feeding a few , skinny cows. This idyll proved deceptively tranquil as you will see. Saturday Joan gave out hugs and words of appreciation to the health promoters, all of whom had earned Certificates of Completion for their successful application of Moxibustion, Auricular Acupuncture and Gua Sha over the past year. They were proud and, appeared a bit surprised to receive the formal recognition. Then, it was back to class for more instruction on how to work in their own field Clinics, the Yin and Yang of the ear, fifteen new protocols and internal organ massage. Sharon Smith instructed us in this art called”Chi Nei Tsang.” There was time set aside for practice in order to integrate the new lessons before the mini-clinic opened on Sunday. Despite the sometimes slow pace of her students, Joan is very supportive of them as they ascend the learning curve. As usual, patients enjoyed the relaxation exercises – whether they were called (improperly) “Yoga” or whether they were correctly named “Qi Gong,” and considered an integral part of Traditional Chinese Medicine. Jill and Sidnee spelled Sharon Smith in leading the exercise module. For one class, I translated for Jill as she put on a very laugh-y session. After that, from time to time, I would catch her coaxing some folks into a playful balancing circle. The first days passed about blur But, when we returned from Cotzal, four crew members went down with fevers and Miguel was riddled with bug bites. Then, there were the snarl-ups on the day known for Four Dog bites – Three patients from Sacapulus would be sent to the hospital for stitches after being attacked by neighbor’s dogs just outside the gates of BFCP. (The viscious dogs were subsequently impounded.) That night, Jenny Walker would dress a “suspicious” fourth wound — She told us that the patient did not seem mentally stable and, so, following a line of questioning, the doctor wondered if the woman’s in-laws owned the offending dog that took a chunk out of the patient’s leg. That evening, as Joan discussed ways to move the patients through all the treatment stations and still give good treatment, Sabastiana, a medicine woman from Quiche, would tell us that this particular day with it’s horrors was right on time. She predicted (correctly,) that the patients would recover and stated that the next day would was a key pivot point called “Batz” -meaning thirteen. If the group could pull through the next day, she said, that the Medical Jornada would succeed. And succeed it did, albeit miraculously. From inside the Pharmacy, where I got tapped as a runner working with Flor and Eva the Jornada appeared unending and, at times, monumental. This was a somewhat harrowing position to play, but, very light duty, compared to Joan’s and Jeenie’s. These anchoring acupuncturists, wrote out herbal prescriptions for more than 1,100 patients. The stalwarts stayed behind on the last evening. Jeenie, Boris, Jenny, Sharon completed packing and inventorying the Pharmacy and headed for bed after a late supper. All hands, were able to attend Flor’s closing ceremony meant to celebrate the team’s fine work and to conclude the volunteers’ week with a special healing. Director Clínico de la Global Clinic, Joan Boccino , L.Ac. 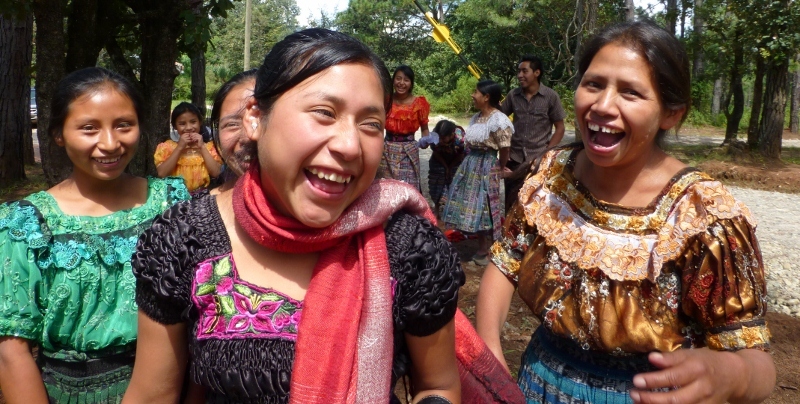 inscrito un grupo poderoso y ágil de voluntarios para tratar de hablar mayas Quiche en las tierras altas de Guatemala . Este equipo vino de ambas costas y , casi todos. Sábado Joan repartió abrazos y palabras de agradecimiento a los promotores de salud , todos los cuales habían obtenido los Certificados de Finalización de su exitosa aplicación de la moxibustión , la acupuntura auricular y Gua Sha en el último año . Estaban orgullosos y parecían un poco sorprendido de recibir el reconocimiento formal. Luego , fue a clase para obtener más instrucciones sobre la forma de trabajar en sus propias clínicas de campo , el Yin y el Yang de la oreja, quince nuevos protocolos y masaje de órganos internos . Sharon Smith nos instruyó en el arte del Chi Nei Tsang . No había tiempo destinado a la práctica con el fin de integrar las nuevas lecciones antes de la mini- clínica abrió el domingo . A pesar de la a veces lento ritmo de sus estudiantes , Joan es muy tolerante con el ritmo a medida que ascienden la curva de aprendizaje . “Por supuesto , sería más fácil simplemente hacerlo, pero , cuando practican ganan confianza . Hace falta algo de tiempo para que puedan mejorar , pero , al final, que lo posee ” . Como es habitual , los pacientes disfrutan de los ejercicios de relajación – si fueron llamados ( incorrectamente ) “Yoga ” o si fueron nombrados correctamente “Qi Gong “, y consideran una parte integral de la Medicina Tradicional China. Jill y Sidnee escanda Sharon Smith en este . Traduje para Jill mientras se ponía una clase que era muy reír -y. Y , de vez en cuando me gustaría recuperar el persuadir a algunas personas en un círculo de equilibrio juguetona. Claudia Castillo sacudió la cocina – se repartió un montón de salsa verde delicia y violentamente se lo puso todo de gofres con pisto. Sólo la torta de cumpleaños de Alice Kim ( una piña al revés confección suficientemente grande para alimentar a treinta) escapó ” greening “. Los días pasaron rápidamente. Pero cuando volvimos de Cotzal , tres miembros de la tripulación se hundieron con fiebres . Luego , estaba el lío en el día de los Cuatro mordeduras de perro – Tres pacientes de Sacapulus serían enviados al hospital después de ser atacado por los perros de los vecinos a las afueras de las puertas de BFCP . ( . Los perros infractores fueron confiscados por la policía ) Jenny Walker se vestiría un ” sospechoso” cuarta herida – El paciente no parecía mentalmente estable y el médico le preguntó si habían poseído el perro que arrancó un trozo de la pierna del paciente. Esa noche, mientras Joan discutió maneras de mover a los pacientes a través de todas las estaciones de tratamiento y aún así dar un buen tratamiento, Sabastiana , una curandera del Quiche , nos diría que este día en particular , con sus horrores estaban justo a tiempo. Ella predijo ( correctamente ) que los pacientes se recuperen y se indica que el día siguiente sería es un punto de giro clave llamada ” Batz ” – es decir, trece años. Si el grupo podría salir adelante al día siguiente, dijo, que la Jornada Médica tendría éxito. Y lo logró , milagrosamente . Desde el interior de la farmacia , donde me hice tapping como corredor trabajar con Flor y Eva la Jornada parecía interminable e, incluso, monumental. Esta era una posición un tanto angustioso para jugar, pero , el deber muy ligero, en comparación con el de Joan y de Jeenie . Los acupunturistas anclaje , escribió las recetas a base de hierbas para 1100 pacientes. Los incondicionales se quedaron en la última noche . Jeenie , Boris , Jenny , Sharon completó embalaje e inventario de la farmacia y se dirigió a la cama después de una cena tardía . Todas las manos , pudieron I asistir a la ceremonia de clausura de Flor quiere celebrar bien el trabajo del equipo y para concluir la semana de los voluntarios con una curación especial. Feed the Children’s ragtag caravan wound its way from Guatemala City (six hours north) up to the Ixil Triangle. Navigating the lumpen, curvy roads the convoy appeared to have the agility of a python stuffing itself into a teacup, but, Altagracia Hernandez, head of FTC Guatemala, had honed the logistics for the massive TOMS shoe delivery; her team would be exceptionally keen for this grand finale. It would not be sleek – by any stretch – but it would end up being spectacular for its efficiency. The city team picked up a posse along the way. FTC’s Central American head, Riccardo Candray came up from San Salvador accompanied by his son, Joaquin. They arrived with a giant SUV and worked for several days ahead of scheduled meetings in the Capital. The mayor of Palencia, who had already distinguished himself by providing storage space and volunteers to pack the majority of the shoes, went so far as to loan his wife, Zaida, a driver and a flatbed truck for this. FIECA, a literacy promoting NGO in Solola kindly sent their colleague, Rocanna and 4×4 pickup. At nights, the motley fleet and exposed cargo had to be stowed; and, sometimes that meant that the cloth shoes had to loaded, unloaded and boxes re-sorted for their diverse destinations. Because it is now rainy season, this crew did it “…backwards in heels..” through the mud. TOMS has a very specific methodology that their partners had to agree to before they shipped the shoes. It required that a data base be created and that each teacher would be responsible for counting and distributing their shoes. In order to do this, by the book, in the District of Quiche, FTC enrolled Don Adrian, a senior administrator from the Ministry of Education to help. Don Adrian would show up “randomly” standing on this corner then that or lurking in an alley. He had done wonders – handling the coordinating for this mission – not only the scheduling the teachers but scouting hotels, parking lots and where to eat. Don Adrian had arranged central meeting places as well as he could. Sometimes there was enough room for all the teachers to come in and collect their allotment and sometimes the line ran out the door for hours. Our favorite phone slinging Mayan, Rosa Garcia, has just been gifted with a Netbook and is preparing herself to tweet meaningfully. This upgrade was a long time coming and it is the first part of an Amalgamated Eleemosynary technology grant to her Escuela d’los Globos (one of Rosa’s imminently tweet-able enterprises.) The grant includes an experimental “museum box.” This is a prototype being developed. The goal is to mainstream children, who would not otherwise have access to the web, into the on line conversation. The gift includes an indestructible camera – that looks like it was made for moto-cross – a lot of memory sticks, two batteries and a 500GB hard drive plus a stipend for internet. Even the little ones can take a turn. Rosa came down to my studio last week with her husband, Marco, to take a surfing lessons. In presto tempo, she “got” what to do – she started “friending” her (myriad) cousins while Marco stewed quietly at my Thinkpad. He was fussing for a long while when at last, began by sending sweet notes to “Mi Vida” from his newly minted gmail account. The Ruins Project finally got wheels with this. Before we took off for Utatlan, Rosa had assigned each of the twenty kids a number so they could share the new camera as well as the loaner video camera, Ipod, smartphone and the Lumix zoom. They galloped all over everything with their cameras swinging perilously. I had hoped they would focus on the restored ball court and begin to discourse on the marvels of the Late Post Classical Period. But, no. They liked going in the cave because they heard they could travel all the way to Mexico in the dank tunnels. And, they were much more enchanted with a random snake than with the residue of the Quiche Capital. The good news is that they did recognize the statue of Tecun Uman as their “great-great-great-great Grandpa.” It’s a start. Feed The Children’s – Guatemala headquarters are marked by a modest plaque set to the right of an ironclad gate. The forbidding eight foot walls are crowned with a concertina wire slinky. Bits of razors dart ominously through the Bougainvillea. This is in Zone 5 – an increasingly dicey area of the capital. It is impossible to get the” friction of distance” built into Guatemala’s ruthless topology from a map. and, distance is quite deceptive when the highway is nasty. For example, the threeFTC centers in Palencia are in the District of Guatemala City and they appear to be closest but they they are really a few hours away. Heading North; towards Solola and Quiche points also takes about three to four hours but you are gliding along the Pan American Highway. 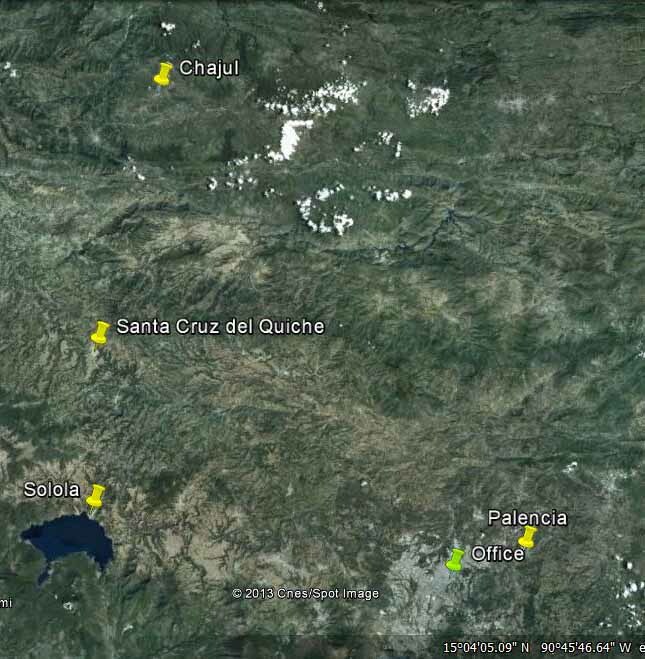 The most distant area, Chujul, is practically to the Mexican boarder, in the Ixil Triangle. It is so many hours of driving that it requires an overnight stay. Absolutely, the roads after Palencia are the worst — the pavement degrades continuously about an hour out of the Office. Even in dry season, it took us forever to get to the nearest destination. The “good news” is that it is still dusty and the crew can hump donations in via SUVs and rented trucks. But, soon enough, it will get muddy and navigating the extreme inclines in all territories will require much more efficient vehicles. Meanwhile, back at the office, there is no time to consider which zone might require less vigilance until the shoes are landed, warehoused, inventoried, packed and delivered. Did I mention the Rice just pulled into port yesterday??? Following Joan Boccino L.Ac.’s lead into the Barbara Ford Center for Peace, a second wave of practitioners came to the District of Quiche to serve. The medical outreach took place within days of soldiers shooting to kill peaceful protesters in nearby Totonicapan. For the next five days, the team of sixteen would serve populations within this contentious district in Guatemala. Besides their epic bravery, these practitioners have a reputation as a “a well-oiled machine.” This is because some of them met while on missions and many of them regularly work together in New York City. There is some speculation about how “the machine” struck its mighty chord. Was the success was due to their composition -only a few senior students? Or because of their methodology – a set of protocols and recommended times? Or simply that this was the third go-around and everybody knows the drill? Whatever it was, it worked for over eight hundred patients. The delivery team of body workers, bonesetters and acupuncturists was exactly what was expected. But, Dan tucked in a couple of yoginis, a martial arts instructor, a logistician and professional photographer to smooth the way and, also, document the process. By the first afternoon they had synchronized under a therapeutic umbrella of Tuvan tunes and amid the pervasive eau d’ecru of burning moxa. The shamanic sounds and sinews of smoke seemed to matte the acoustically challenged room and the practitioners glided soundlessly among their patients. They would treat and train in the cloudy, sunny pavilion at home base assisted by the precious handful of seasoned Quiche/Spanish translators and regular Health Promoters. This crowd rounded up the numbers; so the room was occupied by close to thirty people before the patients were welcomed. The rest of the BFPC registration and facilities staff kept count at the door and did most of the heavy lifting – outside. As it is Sister Ginny’s way to share the wealth she sent this whole community packing on two bus and truck trips. But she managed the long one a little differently this time. Instead of doing a seven hours round-trip in one day and convoying back by dark, the team would journey by daylight. After a half day treating and hours on the zig-zag road, they would be issued bunks at the convent in San Juan Cotzal, in the heart of Xixl triangle. Here, the team would spend the night after a local feast and after being profoundly welcomed by a show of culture put on by local youth. Opening with the welcoming dance, the players honored their visitors with a short happy drama about their courting traditions. This production was very well received and applause broke out, again and again. Following the show, the Center’s Juan Ramirez Ventura danced with the play’s enchanting ingénue and that won him a round. But the pine needles levitated after Dan proudly accepted the hospitality on behalf of everybody – in flawless Spanish. The impact of his surprisingly eloquent thanks was magnified when Marisela Jimenez matter of factly translated it like she did for the rest of the show. The morning after this innocent reception, the line was scruffy and hard bitten. Here is where the teams treat more irritable bowel syndrome and they see more signs of residual PTSD and war wounds than further south. Peter Pankin, L.Ac. linked the pain to dampness and needled stomach points 36 and 37. He would talk about tongues that looked like “raw meat between the liver and heart” and wonder how to cultivate chi. This was the place where the healing touch would matter the most. The people closer to the cradle of the Civil War are much poorer; more anxious and still grieving their ghastly thirty-six year conflict. Here, Maria-Antonietta Zarate would skillfully anchor a speaker in an interview about his experience in the holocaust. The church guardian would tell Ms. Zarate the story as Robert Stern’s camera rolled even though talking on camera gives him valid reason to be terrified. He believes that he, too, could be captured and not returned like his uncle and aunt had been thirty years earlier. After all, the convicted perpetrator of those crimes seems to be perpetually excused and is no stranger to the current president. This man declined the option of taking questions with his back to the lens. He sat in a pew under the span of palm sized crosses that flank a crucifix along the side aisle. He began by pointing to his uncle’s cross and stated that he was nine years old when the conflict started. His relatives were early collaborators and that branch of the family disappeared – his father left shortly after them. Still, the authorities haunted his mother asking her about his father. 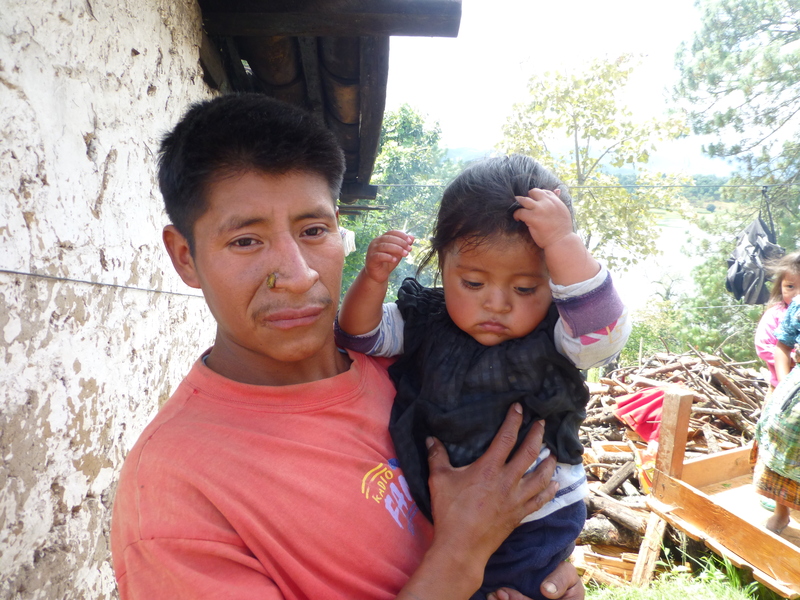 After the house was burnt – with the harvest in it, they fled the rural area to Cotzal. He told the camera that the war had gone on for three years when Rios Montt declared an “amnesty.” Everyone was urged to come forward and give their names to receive the pardon. Everyone who came forward ended up in a grave and after that, the war went on for another thirty three years. This story and the recent shootings made all the hiding faces and furtive looks more poignant. Continue Joan Boccino’s work in Guatemala. 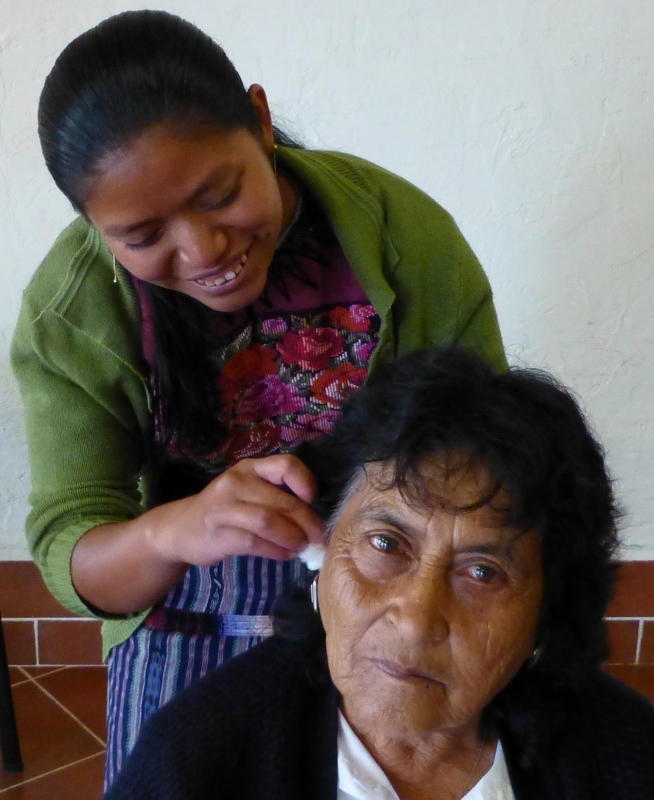 Ladies wait for friends at The Integrative Health Project’s Acupuncture Workshop in Guatemalan Highlands.